Ruskin Bond is an Indian author of British descent. The Indian Council for Child Education recognised his pioneering role in the growth of children's literature in India, and awarded him the Sahitya Academy Award in 1992 for Our Trees Still Grow in Dehra, given by the Sahitya Academy, India's National Academy of Literature. He was awarded the Padma Shri in 1999 and Padma Bhushan in 2014. He now lives with his adopted family in Landour, in Mussoorie. Ruskin Bond was born on 19 May 1934 in a military hospital, to Edith Clarke and Aubrey Bond. His siblings were Ellen and William. At present, his sister Ellen lives in Jallandhar, Punjab and brother William lives in Canada. Ruskin's father was with the Royal Air Force. When Bond was four years old, his mother separated from his father and married a Punjabi-Hindu, Mr. Hari, who himself had been married once. Following his high school education he went to his aunt's house in Channel Islands in England and stayed there for four years. In London he started writing his first novel, The Room on the Roof, the semi-autobiographical story of the orphaned Anglo-Indian boy Rusty. It won the 1957 John Llewellyn Rhys Prize, awarded to a British Commonwealth writer under 30. Bond used the advance money from the book to pay the sea passage to Bombay. He worked for some years as a journalist in Delhi and Dehradun. Since 1963 he has lived as a freelance writer in Mussoorie, a town in the Himalayan foothills. He wrote Vagrants in the Valley, as a sequel to The Room on the Roof. These two novels were published in one volume by Penguin India in 1993. 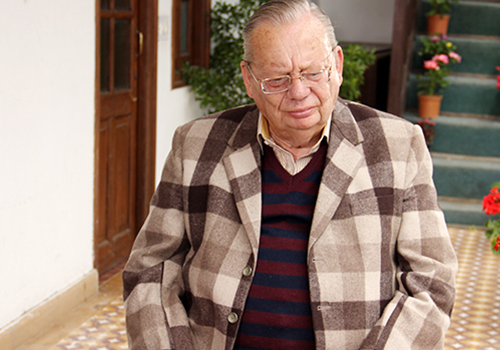 The following year a collection of his non-fiction writings, The Best Of Ruskin Bond was published by Penguin India. His interest in the paranormal led him to write popular titles such as Ghost Stories from the Raj, A Season of Ghosts, and A Face in the Dark and other Hauntings. He currently lives with his adoptive family in Landour, Mussoorie's Ivy Cottage, which has been his house since 1964.